The most common problem, and the one which I’ve devoted the most time to repairing, pertains to links to works in the Archive. Publication updates in particular contain a lot of these! What I found is that hyperlinked names of works in the Archive from posts that went up before the site redesign do take you to the new site, but don’t take you to the actual work or copy that the link suggests. This discrepancy warranted replacing the old work-name hyperlinks with links to the works in question on the redesigned site. To give another example of a situation that warranted an update, a person reading the September 9th, 2010 post announcing Rachel Lee and Ali McGhee’s publication in a special issue of Romantic Circles should still be able to use the links to access that issue and their article in it. Romantic Circles is alive and well, however its exact web address has changed since 2010, so to make it possible to link from the blog post to the corresponding pages of the Romantic Circles site I needed to update the hyperlinks. Many updates were fairly straightforward. Replacing an outdated link to Google Earth was as simple as going to Google Earth to get the current url. But sometimes finding an accurate replacement required a little bit more searching. However, not every site archives old pages or makes it easy to find them. Even with quite a bit of digging around salon.com I wasn’t able to recover an old article referenced in a July 2009 blog post. 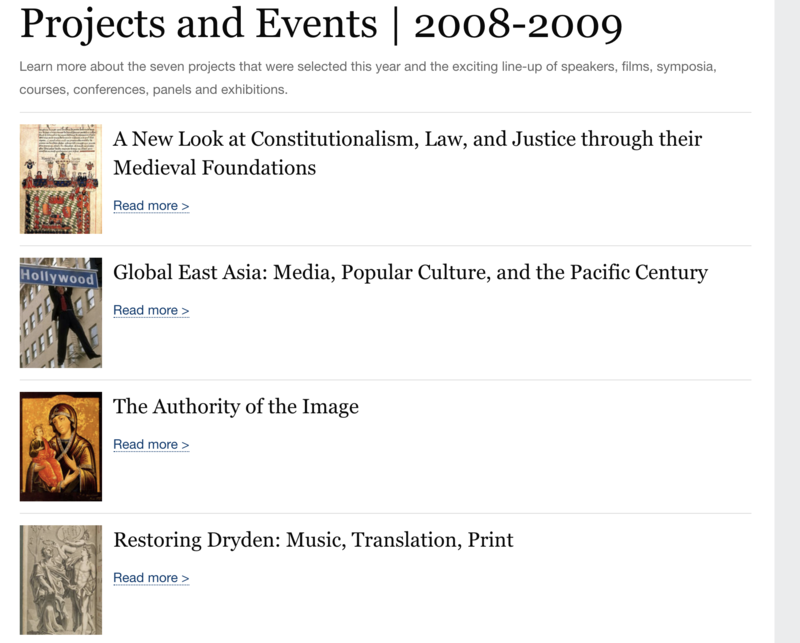 The Archive has changed a lot since 2009 so sometimes we have a link now that we didn’t have then. 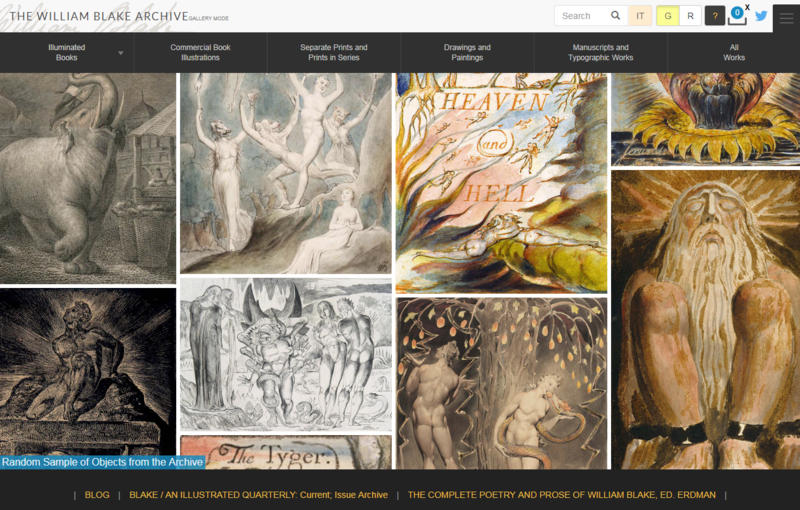 For example, a December 18, 2008 post mentions Blake’s Descriptive Catalogue (1809). Clicking on “Descriptive Catalogue” takes you to the Wikipedia page for the work, which was sensible enough at the time, but since then, the Archive has actually published the Descriptive Catalogue, and seeing as it’s standard practice for us to include links to works in the Archive when those works are mentioned in the blog, it seems like common sense to replace the link to the Wikipedia entry with a link to the Blake Archive’s published edition. 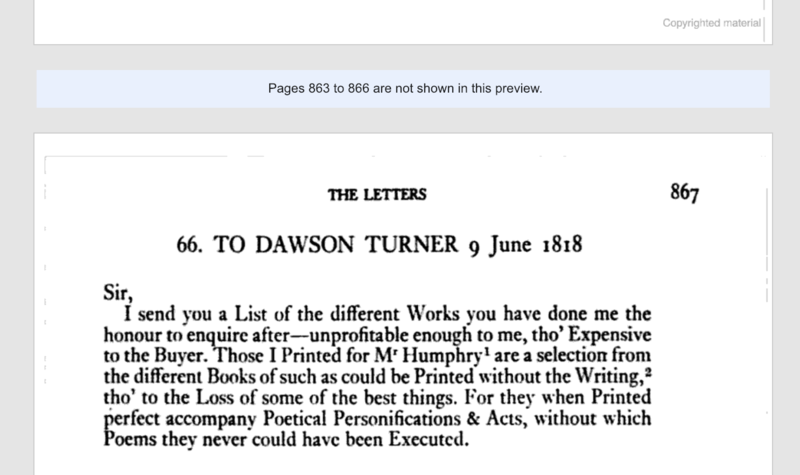 The letter referred to is probably Blake’s September 8th, 1815 letter to Josiah Wedgwood, which unfortunately isn’t in the Archive at the moment, but I’ll have to remember to update this link if we ever do publish it. Not every outdated link can be easily updated. For example, clicking on a hyperlink which purports to take you to Google Reader actually takes you to a page informing you that Google Reader no longer exists. In a situation like this one, it might make the most sense to simply remove the link, although I haven’t actually removed any links yet and would rather get a second opinion before doing so. As to a general policy of removing hyperlinks, my impulse would be that if the sentence containing the hyperlinked word implies that there’s a link you can follow I should leave the hyperlink even if it’s broken because removing it would be too conspicuous (an obvious clue that a person from the future has dropped in and meddled). However, if the sentence contains no such implication, removing the obsolete link may be perfectly harmless. Like I said, this seems like a matter on which I would want a second or third opinion. For now, I’ll adhere to the “when in doubt, don’t touch it!” rule. 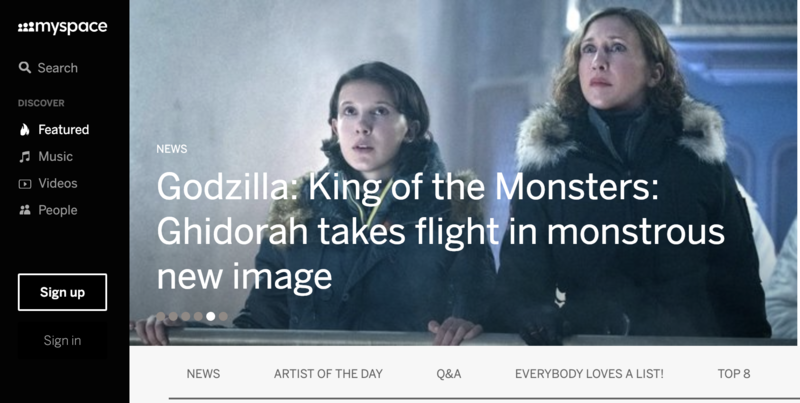 I also wanted to avoid making any changes that might risk erasing the blog’s rich history or creating strange anachronisms. For example, a January 29th, 2009 post contains links to myspace pages and CDs you can purchase from various artists. Some of these artists are still selling their Blake-related music; you can purchase it on itunes, spotify, etc. But what do I do about the links to the music that no longer work? 1) A user could find the music of these artists in the newer formats on their own with a simple Google search. They probably don’t need my help. 2) Replacing the link under CD with a link to a newer format of music would constitute a kind of technological bowdlerization that would violate both authorial integrity and historical accuracy. 3) This post, perhaps more than any other, is a reminder of how long this blog has been going and how much has changed since its inception. Yes, there was a time when people were paying $17 for CDs and purchasing them through the artist’s myspace page. The process of working my way through all these old posts was quite edifying. 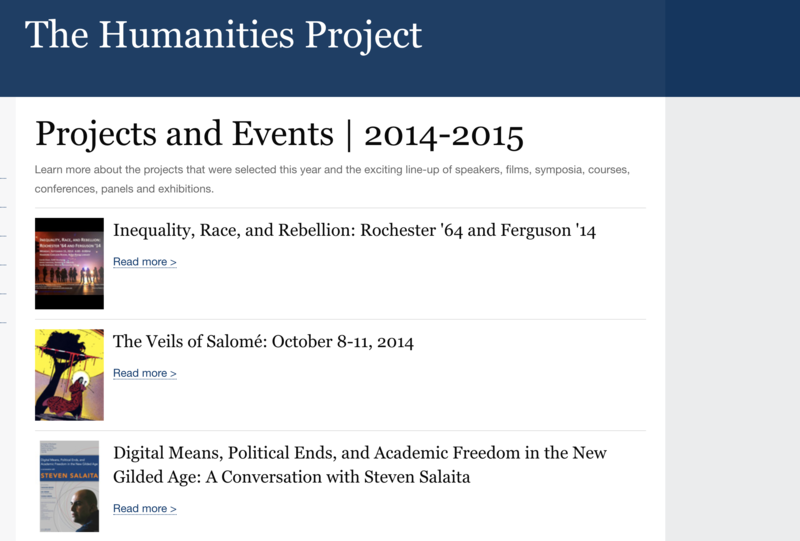 I was consistently impressed by the sophistication of the old blog posts, the scope and depth of their content, and the degree to which their authors seemingly kept abreast of everything going on in the world of digital humanities, especially considering that for a very long time it was almost exclusively two people doing all the posting.